Literature albums are the smart choice for training programs or software that fit on just 1 or 2 discs. 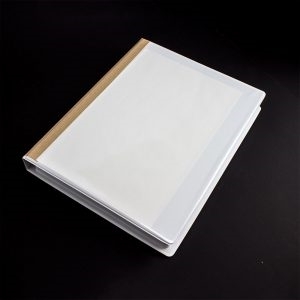 The tough thermoformed exterior keeps out dust and debris, while the inside has plenty of room for pamphlets, workbooks, or other print materials, making literature albums ideal for recording seminars, training videos and courses. 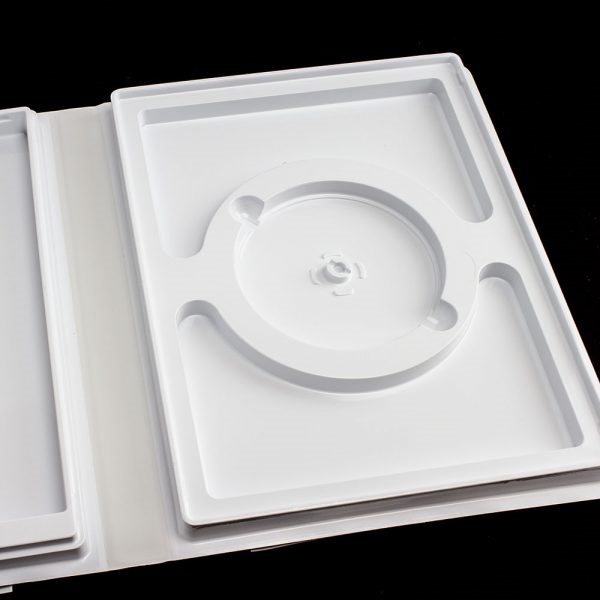 The sturdy construction protects your discs and book or literature from dust and moisture. Our included Shipping Hub Locks let you ship your product with confidence that it will arrive in the same condition in which you sent it, saving you the cost of replacing damaged items and keeping your customers satisfied. This album is available ONLY by contacting us directly at customerservice@sunpack.com. We no longer stock the item, but it is available on a made-to-order basis. Shipping costs will be calculated at the time of shipment.